Glucosamine and chondroitin, used separately or together, are among the more popular diet supplements. They are used widely for osteoarthritis, especially of the knee, and have been better studied than most other diet supplements. But do they really work? I remain skeptical. And so does R. Barker Bausell, who devoted several pages of his book Snake Oil Science to an analysis of the research on glucosamine and chondroitin. The American Family Physician recommendations were based largely on the results of meta-analyses. Meta-analyses are only as good as the studies they evaluate. Ioannidis has shown that published research findings are more likely to be false than true. It has been suggested that the Dona brand of glucosamine sulfate produced by the Rotta company showed positive results and that negative studies were done on other brands. But Bausell points out that trials involving the Dona brand were primarily older trials in non-English speaking countries where the percentage of positive studies tends to be higher. Those trials were superseded by better quality trials in the US, Canada, and the UK that were all negative. 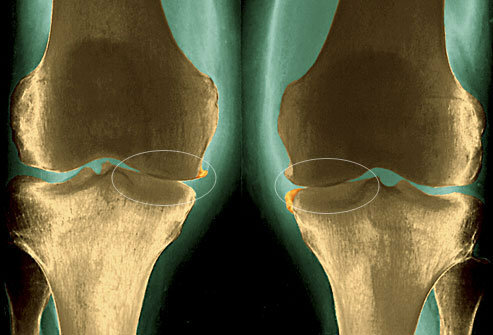 An intriguing 2004 study looked at patients who were already taking glucosamine for knee osteoarthritis and who had experienced at least moderate relief of pain. They left half of the patients on the glucosamine and switched half to placebo. There was no difference in outcome. The NEJM study in 2006 was the best-designed study yet. It deserves particular attention because it was reported in the press as both positive and negative! They originally hoped to look for an objective endpoint, joint-space narrowing, but they ended up measuring subjective pain relief instead. They tested 5 groups of patients on glucosamine, chondroitin, glucosamine and chondroitin together, a nonsteroidal anti-inflammatory drug (NSAID) or a placebo. The NSAID worked fastest and best, but not significantly so. None of the drugs worked significantly better than placebo. The placebo response rate was very high, which has been used to question the results, but which might also mean that there is a naturally high placebo response rate for this condition, which is known to involve fluctuations in severity over time. The study was clearly negative, but when they broke the data from each of the 5 groups into 2 subgroups of patients with mild-to-moderate vs moderate-to-severe pain, they found one subgroup that showed significance: the group with moderate-to-severe pain that took both glucosamine and chondroitin. You might expect one out of ten subgroups to be falsely positive just by chance. Besides that, the results dont make sense. I dont know of any other treatment that is effective for more severe pain but not for lesser pain. And in previous studies, the combination of glucosamine and chondroitin had been no more effective than either supplement by itself. The authors themselves pointed out that their study was not designed to differentiate between those subgroups. so no clinical recommendations could be made on the basis of this finding. The existing evidence is compatible with the hypothesis that glucosamine and chondroitin work no better than placebo, and that the trials that seem to show otherwise are flawed for various reasons. Critics will say that the evidence for glucosamine and chondroitin is as good as the evidence for many pharmaceuticals. That may be. Some pharmaceuticals may actually be no better than placebo. Rather than an argument for using glucosamine and chondroitin, this is an indication that we need to look as carefully at the evidence for pharmaceuticals as Bausell has looked at the evidence for glucosamine and chondroitin. When we look at any research, we should remember all the possible sources of bias in published results, and we should remember that meta-analyses are only as good as the studies they are analyzing.